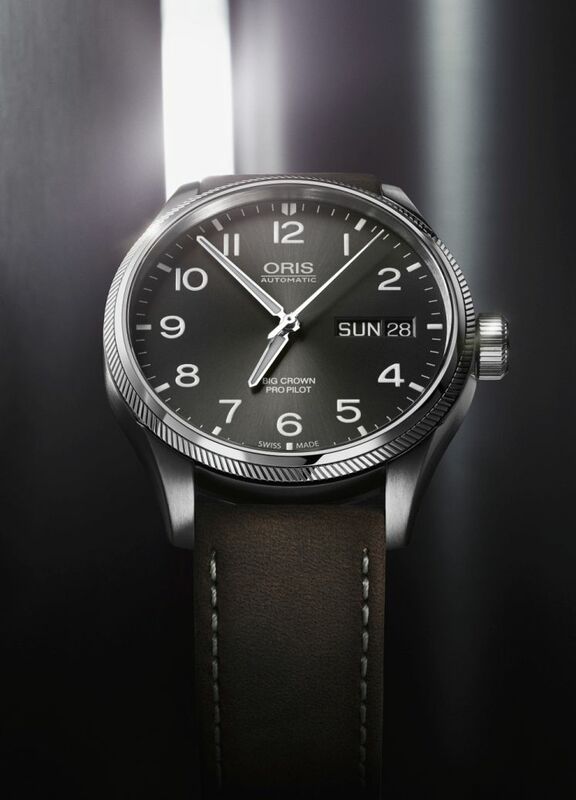 Oris presented its brand new pilots watch Big Crown ProPilot Day Date. The new model is offered in 45mm diameter case made of stainless steel. The case sports a polished coin-edged bezel surrounding a domed AR-coated sapphire crystal. The caseback features a display window. The watch is water resistant to 100 meters. 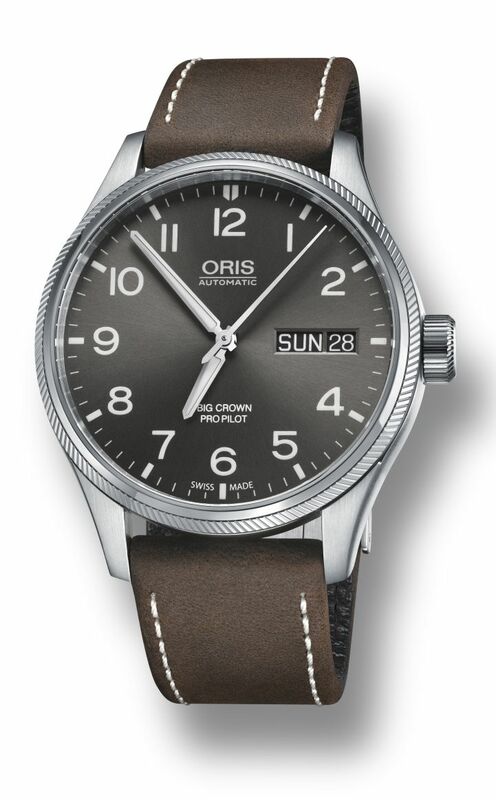 Oris Big Crown ProPilot Day Date is powered with the Swiss automatic Oris Caliber 752. (base Sellita SW 220-1) with 26 jewelled and Sellita SW 220-1 based movement beats at 28,800vph and offers a power reserve of 38 hours when fully wound. 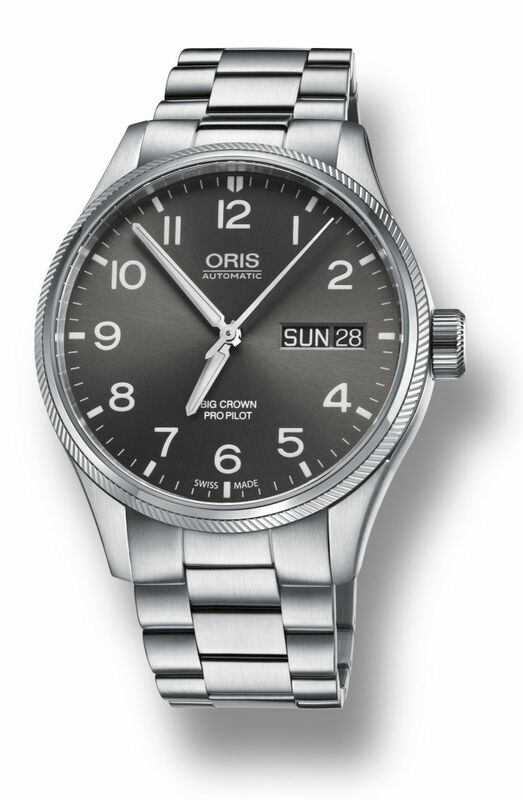 The caliber features the famous red Oris rotor. The dial is finished in anthracite color. The printed numerals are SuperLuminova coated. The hand set is made of polished nickel and SuperLuminova coated as well. The timepiece is available with a choice of straps: vintage brown leather option with beige stitching; grey leather strap with a crocodile imprint; black leather strap; grey textile strap, all with steel folding clasps, or on a brushed stainless steel metal bracelet.